sometimes it's tempting to stop swimming and let yourself sink. The Tennemac River runs by the Clarington mill a quarter mile wide and so deep it looks like it’s hardly moving at all. If it’s quiet and the juke box is off, you can hear the rush of the water inside the Lone Pine tavern where Cary Rettinger had spent most of the evening drinking alone. 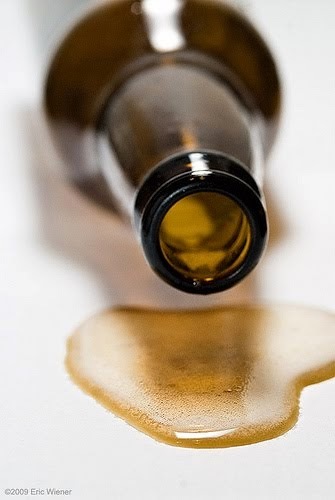 Rettinger accidentally backhanded his bottle of Miller and watched it roll across the table spewing foam and amber liquid before it shattered on the linoleum-covered concrete floor. Rettinger stared at her with alcoholic stupidity as she swept up the wreckage and dumped it into the garbage pail behind the bar. She mopped the spill and tossed a bar towel onto the damp, pushing it around with her foot until it was just a shiny spot on the tile. He would have argued with her, but he was too drunk. He slowly rose and staggered out the door. Rettinger dropped his keys as he unlocked his Trans-Am; when he bent to pick them up, two and a half hours’ worth of beer gushed up his throat and found its way out his mouth and nose. From the door, Lenny Fuller watched Rettinger throw up and drive away. He was new in town and it was the first visit to the Lone Pine. Cary wasn’t in any hurry to get home. He had bad news and he couldn’t bear to share it with Jenny: there’d been a big meeting at the mill this afternoon and Ned Foster had told the entire crew that the place had been bought by some Jap outfit. From now on, Clarington would be shipping whole logs overseas to be processed. The mill was closing. Cary’d worked on the saw crew since he quit school. Clarington was the last mill left in the state and he’d never worked anywhere else. Now that it was shutting down, he’d get rocking chair money for six months. After that he was on his own. When he told Jenny the news, they’d fight again. It seemed to be just about all they did any more. Jenny was supposed to be on the pill when she got pregnant. She’d lied about that, but Cary didn’t find out until it was too late; he wasn’t even using a rubber the night it happened. Jenny was happy, though. Somehow she had the idea that everything would remain the same when she got pregnant -- that he’d still be able to go to State, sign with a professional football team and marry her. She was wrong. The pregnancy had turned Cary from a future football hero into a blue-collar worker; the mill closure was about to turn him into an unemployed drunk. Even though his dreams had collapsed, the Tennemac still called out to him. Every day when he knocked off work he would drive down to the river and watch the water slide by. He’d spend hours sitting there alone in his car, thinking about what his life might have been like without Jenny. That’s how he found himself parked there after Mary Lou kicked him out of the Lone Pine that night. He pulled up to the top of the boat ramp and looked out at the lights of the mill reflected in the Tennemac , staring bleakly across the water at the rust-spotted steel building that housed the saw and lumber finishing gear. It would soon be empty, the equipment scrapped or sold off. Cary had seen the writing on the wall two weeks ago when a group of five little Oriental guys showed up for a tour of the plant and Foster didn’t introduce them to any of the workers. He figured there was maybe another month’s worth of work before the lights at the mill went off for keeps. Some of his co-workers had been at Clarington forty years, but that didn’t cut any ice: they’d only need a couple of hands to strip the logs for shipment and load them onto trucks. Everybody else would be canned. Cary yawned and watched the mill’s lights shimmer on the river. He was 28 but already felt twice that. Between putting in his hours, getting drunk after work and going home to crash on the couch, he felt his life sliding by like the Tennemac – the river’s greasy waters hardly seemed to be moving, but its undercurrent was strong, and pulled him along with it. He leaned against the door and yawned again. Everything made him tired these days: his dead-end job, his fights with his wife, his hours of sitting and watching the Tennemac ooze by. He closed his eyes and took a deep breath, listening to the river slap quietly against its banks. Jenny Rettinger was still pulling her robe tightly around her when she opened the door for Sheriff’s Deputy Art Castner. The clock on the kitchen wall said it was after three in the morning. The deputy took his hat off. “Jen, I’m afraid I have some bad news,” he said hesitantly. “It’s Cary. He’s dead. 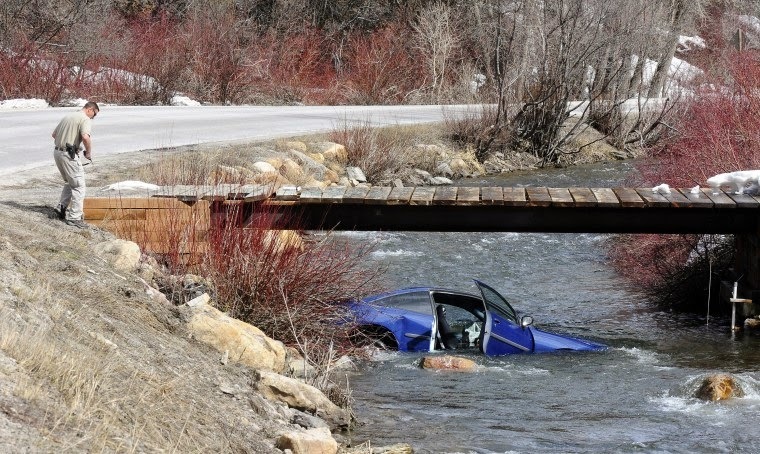 As nearly as we can figure, he stopped at the boat ramp by the river, fell asleep behind the wheel and let his foot slip off the brake. Jenny felt cold as the deputy explained that the medical examiner would do an autopsy to determine the exact cause of death and she could have the funeral parlor pick up her husband’s body at the sheriff-coroner’s office. She shivered and folded her arms tightly across her breasts as he turned his patrol car around and pulled onto the county road. Back inside she found the half gallon bottle of Old Crow in the drawer under her husband’s football trophies. She sat on the sofa, filled a glass and took a sip, holding the picture of him in his uniform when he made all-state. In the photo, he wore an embarrassed smile, as if he was ashamed about all the fuss. A half mile away the Tennemac surged past. She listened to its distant rush as she slowly drained the glass and the first of her tears made spots on the photograph.